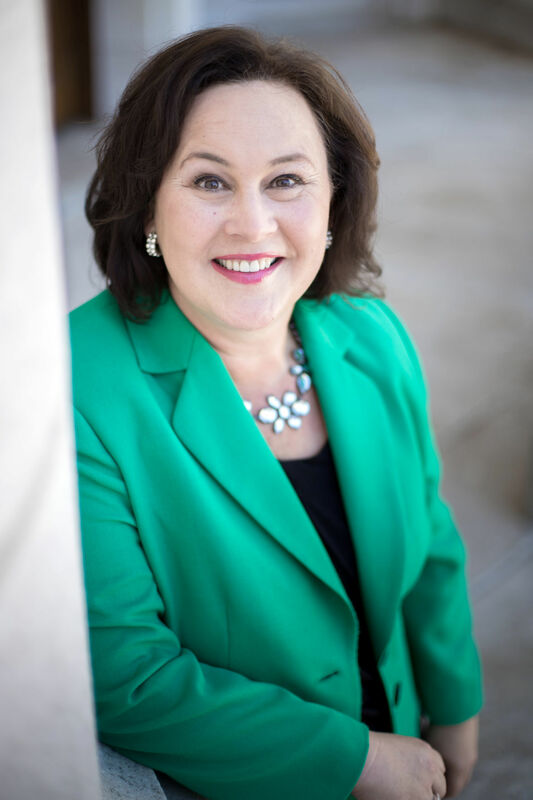 Stephanie Klett, Wisconsin’s Secretary of Tourism for the past eight years, has been appointed president and CEO of VISIT Lake Geneva. Stephanie Klett sits next to the fountain in downtown Lake Geneva. Klett has been appointed president and CEO of VISIT Lake Geneva. Stephanie Klett didn’t discover Lake Geneva until she was 20 years old. The quaint towns and glistening lakes of Walworth County—where tourism is a booming industry—quickly became her spot, Klett said. “You just get addicted to the area and keep coming back,” she said. Now, Klett is the president and CEO of VISIT Lake Geneva, leading the Lake Geneva Chamber of Commerce and Lake Geneva Area Convention and Visitors Bureau. She assumed the role April 8. Klett comes to Lake Geneva after an 8-year stint as secretary of the Wisconsin Department of Tourism, where she spearheaded the state’s $20.6 billion tourism industry, she said. At the state, Klett focused on marketing Wisconsin through commercials. Some of the ads she helped produce featured Kareem Abdul-Jabbar, Henry Winkler, Jordy Nelson and Donald Driver, she said. Before serving as tourism chief, Klett hosted the state’s premier tourism show, “Discover Wisconsin,” for 18 years. She also was Miss Wisconsin from 1992-93. Former Gov. Scott Walker appointed Klett to head the tourism department in 2011. Gov. Tony Evers defeated Walker last year and appointed a slate of new members to his cabinet, ousting Klett from the position. Klett said Lake Geneva wasn’t on her radar. She was offered a job at a T-shirt company and as another state’s tourism secretary. She even considered going into the ministry, she said. But somebody from Lake Geneva sent an email and asked if she was interested in the position at VISIT Lake Geneva, Klett said. Klett has a smaller team in Lake Geneva than she had at the the state, where she led a staff of almost 30 and operated an annual budget of about $17 million in 2018. Klett pointed to the eclectic mix of shops and restaurants in downtown Lake Gevena, the amenities of Geneva Lake and the area’s outdoor recreation as local tourism highlights. Walworth County consistently ranks among the state’s most prolific tourism destinations. In 2016, the county raked in $528.9 million in direct visitor spending. That number jumped to $544.2 million in 2017, ranking it the sixth-best tourism economy in state.